As a dog training professional many of your clients will present behavioral or training challenges that are a result of an emotional response, a problematic emotional response. The observable behavior you see, the operant behavior is elicited because the dog is afraid, scared, anxious etc. To change the problematic operant behavior you have to change the emotional response. In order to change the dogs emotional response you need to understand respondent conditioning. Within an organism there are two types of reflexes, unconditioned reflexes and conditioned reflexes. An unconditioned reflex (UR) is unlearned and occurs unconditionally, whereas a conditioned reflex (CR) is acquired and considered impermanent (Chance 2008 p 63). A conditioned reflex occurs when a conditioned stimulus (CS) creates a conditioned response (CR). This is a learned response to a given set of conditions occurring in the environment. Pavlov recognized that any stimulus could become a conditioned stimulus when paired repeatedly with an unconditioned stimulus (Chance 2008 p 64). 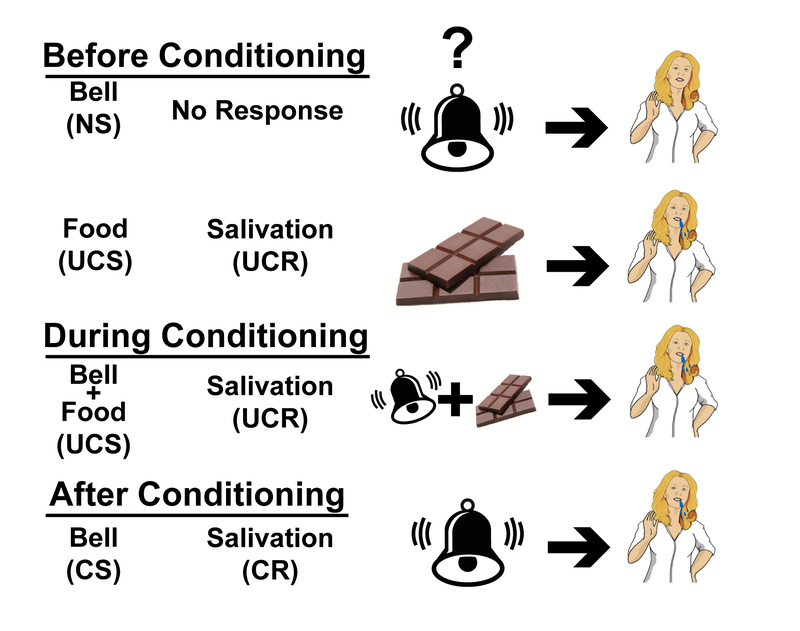 High order conditioning takes place when a well established conditioned stimulus is paired with a neutral stimulus to elicit a conditioned response. High order conditioning takes place in the absence of an unconditioned stimulus. With high order conditioning many more stimuli can come to elicit conditional responses not just those paired with an unconditioned stimulus, thus enhancing the ability of the animal to adapt and survive. But high order conditioning also affects and influences many emotional reactions such as fear (Chance 2008 p 66).